The tv show, which will premiere in May 2019, premieres hostess: Nadia Benyahya, who will accompany each traveler on a route through the most special corners of each destination. “Viajeras con B”, starts engines and begins the filming of its third season. 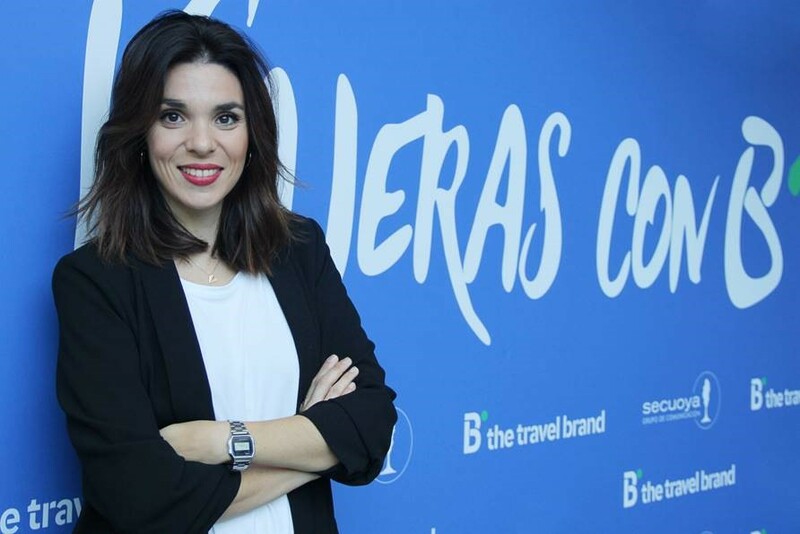 New travelers, new travel companion and several new additions to this transmedia project and television program created by B the travel brand and Grupo Secuoya in which six women will explore six different destinations to experience the travel experience of their lives. Lydia Valentín, the olympic athlete that has positioned Spain on the radar of weightlifting and, therefore, has contributed to make more visible than ever the female sport, will be the first to embark, heading to Mallorca, this Sunday. Along with the best weightlifter on the planet, this third season will be shared, among other participants, the designer Ágatha Ruiz de la Prada; the ten times Kitesurf World Champion, Gisela Pulido and the journalist Irene Villa, who will be accompanied by her two eldest sons. Consisting of six deliveries of 35 minutes each, the third round of “Travelers with B” will visit the most unknown and special places of Zanzibar, Lapland, India, Mallorca, Lisbon and Paris. In addition, the presenter Nadia Benyahya (Non stop people) joins the project as a traveling companion and will form a tandem with each traveler in the different destinations. Madrileña and a graduate in Journalism, Benyahya combines her passion for travel with her artistic side. Travel with whoever is different from you, get involved in the most exotic destinations and leave the routes marked to live an unrepeatable experience, are the pillars of success of the tv show. “Viajeras con B” writes a travel notebook that makes the traveler the protagonist of his life and, in parallel, allows us to know what some of the most interesting women in different fields such as sports, journalism or Fashion. Beyond a television program, “Viajeras con B” is a real social experiment that explores the interactivity of social networks from the most unprecedented perspectives. It is a commitment to differentiation, with the mission to advance in what Transmedia Communication is about and to offer different alternatives to travelers thanks to the innovative nature of a company with experience in the travel universe as B the travel brand.